Those of you that regularly read this column know I am a huge fan of Warren Buffett. Not just because he has built the worlds 4th largest public company from the ashes of a failing textile firm named Berkshire Hathaway, but because of the way he has done it. This is a man who last year was the 4th richest man in the world but lives his life as a very humble mid- western guy in Omaha Nebraska. Buffett has been giving his investors in Berkshire Hathaway advice about investing and life for over 50 years. About this time of year he publishes a letter to his shareholders and on the first Saturday in May at the annual stockholders meeting he answers questions from the audience for six hours. A lot of the questions are about investing in general. I listen to him mainly because he’s a smart guy and because he has no agenda other than promoting his company and their products. This is important because Buffet has nothing to gain from giving investment advice. The following discussion is based on Buffet’s annual Berkshire Hathaway shareholder letter this year. I encourage you to read it. In the 2005 Berkshire annual report Buffett argued that active management by professionals- in aggregate would over a period of years outperform rank amateurs who simply sat still. He explained that the low fees would beat the best money managers with their high fees and he offered a wager. He would bet $500,000 (going to charity) that the Vanguard S&P 500 Index Fund would beat an investment of at least five hedge funds over a ten year period. 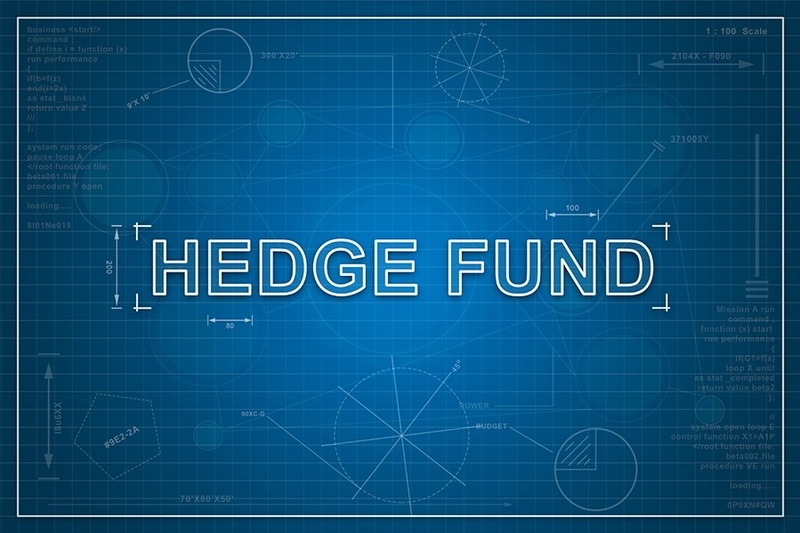 A hedge fund is a limited partnership of investors that uses high risk investments and borrowed money in the hope of making lots of money. These are the guys people think about that sit behind a bank of computer monitors making millions because of how smart they are. Well they are making millions but not from trading, from fees. These are the people that convince rich people and huge pension funds to invest billions of dollars in their hedge fund. In return the typical hedge fund takes 2% in fees right off of the top and 20% of any profits. These hedge fund guys get really rich. Two percent of just one billion dollars is $20 million and they manage many billions. These “hedgies” are supposed to be the smartest people on the planet. They can invest anywhere in the world and buy or short (bet against) any stock, currency, commodity or financial instrument. After Buffett offered the bet he thought these “brilliant investors” would come forward and defend their occupation as hedge fund managers. After all, these brilliant guys urged others to bet billions on their abilities. Why should they fear putting a little of their own money on the line? Out of thousands of these professional money managers who have amassed staggering fortunes only one stepped forward. He charges investors a fee to find the best hedge funds for them to invest in. So you pay his fee on top of the high hedge fund fees. He picked a basket of more than 100 different hedge funds. The bet started at the beginning of 2008 and ends at the end of 2017. So far after nine years the Vanguard 500 Index Fund has returned an average 7.1% per year to the hedge funds return of 2.2% per year. Mind you, that these hedge funds have a huge incentive to do their best but these results are absolutely horrible. The managers got their fees but what did the investors get? There are two lessons here. The first lesson is that fees matter. The average person would have no trouble getting charged 2% or more per year. I see it every day. You have to count all costs, the cost of the management fees and the cost of the underlying investments. Just a one percent difference in the fees you pay over your lifetime could make hundreds of thousands of dollars difference between the amount of money the financial system gets to keep and what you get to keep. The second lesson is that active management is not better than passive management. When someone sitting across the desk from you tells you they have a guy or a team or a fund that “beats the averages”, be careful. Remember the smartest people can’t do it over time. When some salesman shows you a nice colored chart that shows XYZ investment beat some index remember that they are picking the index they want to be compared to and the time period they want to be compared to. The whole retail financial services system is based on this false premise that there are smart people out there who can beat the market long term. As you can see when they are called out by someone who is an impartial expert like Warren Buffett, they either don’t show up or can’t perform.